Get your credit card ready, Clozetters! We are in love with today. Not only is it a Friday but we've spotted a number of 12/12 Online Sales & Deals going on right now in the region. So we thought we'd put them all together in this list and share the love with all of you. Get 20% OFF everything on ASOS! Go on and treat yourself to those items you've had your eye on! Enter promo code GET20 at checkout. Hurry, this ends midnight tomorrow! While Lazada is holding 12/12 sales at all their country sites, if you just so happen to be residing in Malaysia, then we have a special Clozette fashion voucher for you! Key in the code CLOZETTE20 upon checkout to get an additional 20% off your purchase. 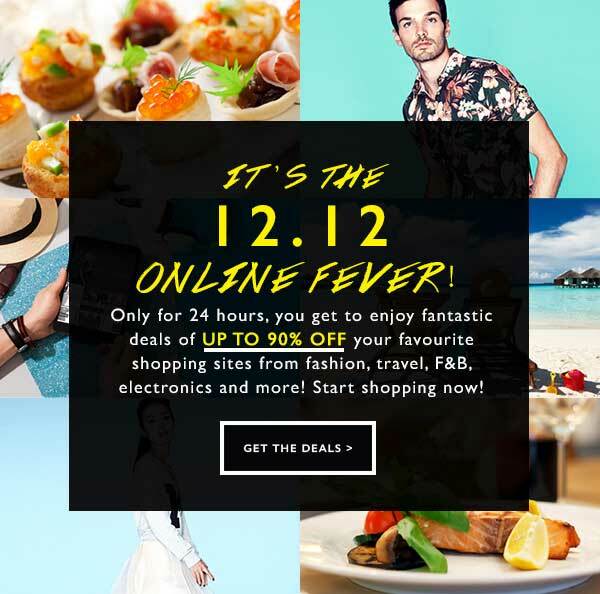 ZALORA, Asia’s online fashion destination, has partnered with major e-commerce players around the region to offer attractive deals during their 12/12 sale, with a massive discount up to 85%! Skin Inc is the world’s first Skin Supplement Bar offering customizable beauty solutions to help you create an effective and fuss-free regimen, designed for your skin. 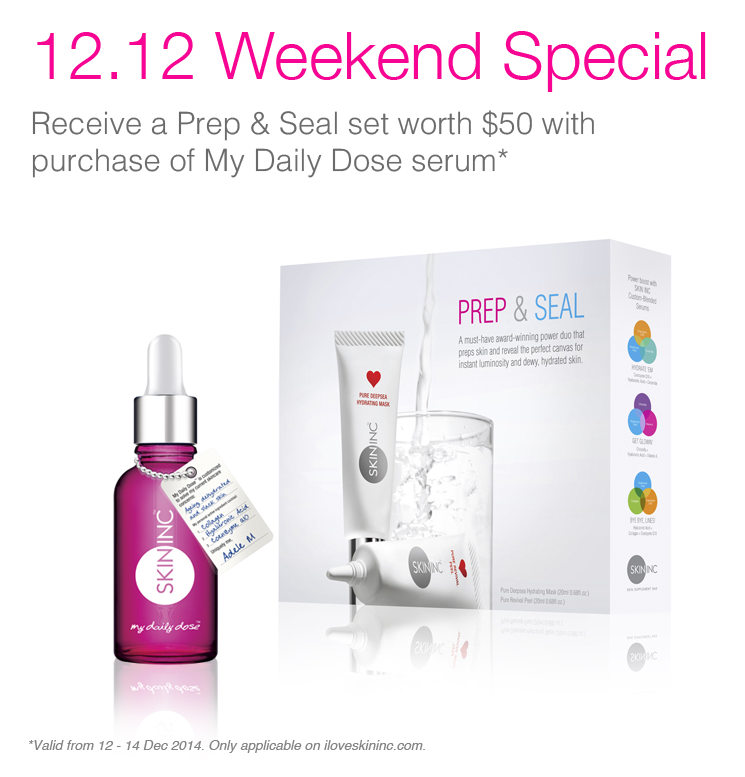 For their 12/12 weekend special, you'll receive a Prep & Seal set with a purchase of their My Daily Dose serum. Naiise is a curated online destination for original, well-designed products and daily design inspiration. They're now offering fantastic deals of up to 90% OFF for the next 24 hours. 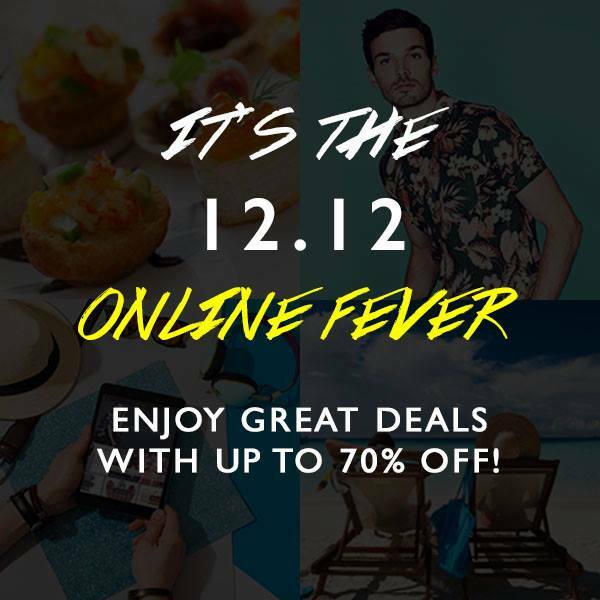 You can even get an additional 12% OFF if you key in the code ONLINEFEVER upon checkout (all items except furniture).